It’s surprising considering that their neighbors, Delaware and New Jersey, are positively regulating online poker, but Rhode Island is far from what we would consider a ‘poker player friendly’ state. Although online poker isn’t mentioned, considering their laws you could say that it’s illegal by default. The same holds true for home poker games. Poker doesn’t exist in the few casinos within the state either. So poker players will either need to break the law to play, or travel to a nearby state such as Connecticut, New Jersey or New York to get their poker fix. We cover this in more detail below. 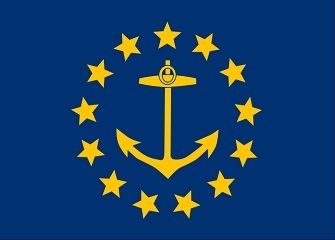 Rhode Island has no laws that pertain to online gambling or poker. In fact, there is no real clear definition of gambling (illegal or not) at all. Based on our research and experience, we would assume the lack of clarity means all gambling is, by default, illegal. That said, there have been few cases of individuals being arrested for gambling in the state. So the chances of you being caught, let alone arrested or charged with a crime is slim, to say the least. Rhode Island doesn’t make any exceptions for social gambling. In fact, inviting someone to a home game (or any game, really) is illegal, whether it’s your game, house or not. Do Casinos in Rhode Island Offer Poker? No. There appears to only be 2 or so casinos, the Twin River and Newport Grand Slots. Neither of these establishments spread poker games. You will find 3-card poker, however, at Twin River. We receive a lot of questions about the legal gambling and poker in Rhode Island. Instead of answering each person individually, we thought it’d be best to include our top answers here for everyone to read. Will online poker be regulated in Rhode Island? We couldn’t find any information that would lead us to believe that they will. If we had to go one way or another, we’d say no. Voters have voted against the expansion of gambling twice. So it doesn’t even appear as if the public wants legal poker in their state. Furthermore, the state has few casinos, none of which offer poker. And no other form of gambling is ‘legal’ in the state. So I just don’t see it happening. However, it’s not as if they couldn’t use the additional revenue. At the beginning of the year there was a story that said that the state is projecting a loss of over $307 million dollars over the next 4 years due to online gambling facilities starting in neighboring states, such as Massachusetts. Is there an online poker room that accepts players from Rhode Island? Yes. Residents can sign up to any poker site that accepts customers from the United States. This includes sites like Bovada, BetOnline, Sportsbetting and Sportsbetting Poker. What other forms of regulated gambling is offered in Rhode Island? Rhode Island has para-mutual horse racing, a state lottery and charitable games which include bingo and raffles. Where can I read more about Rhode Island poker laws? Here are some interesting facts about poker and gambling in Rhode Island. Casino doesn’t mean what you and I think it means in Rhode Island. In this state it refers to a place for social gathering. There are several examples of this, just do a Google search for ‘casinos in Rhode Island.’ You’ll see websites pop up that offer indoor/outdoor tennis courts, theaters, places to eat and more. But no slots, blackjack or poker. At one time poker was allowed as a form of charitable gambling. However, a law was passed in 1983 that left only bingo, raffles and bazaars as permitted games.